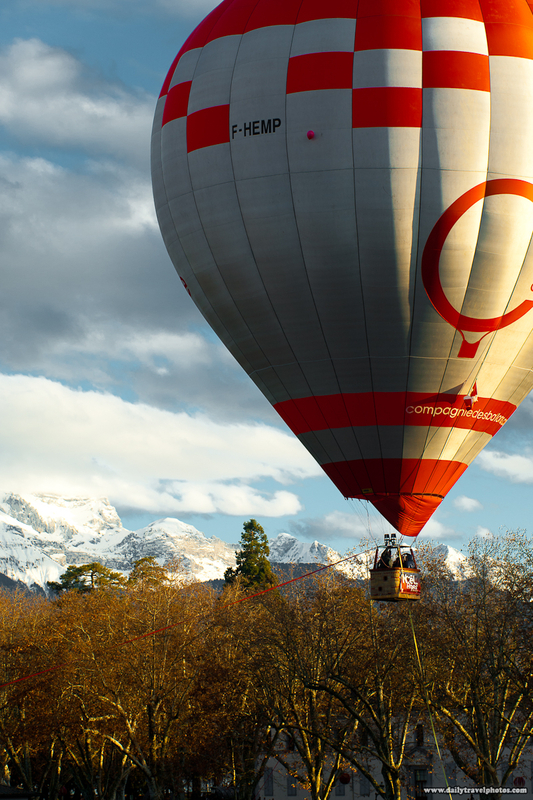 A tourist hot air balloon floats tethered over Annecy. The mountains near Annecy are snow-capped as you can see in the photo. In addition to the scenery, the winter holiday atmosphere here is just unbeatable with tourists and daily life energizing the city during the harshest time of the year! 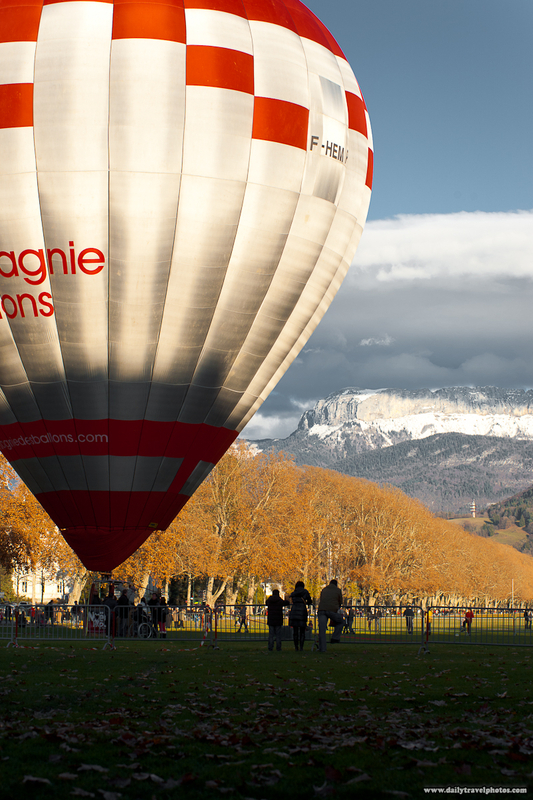 A tourist hot-air balloon loads a new crop of paying customers.